Isn’t this a great idea? A Mummy friend suggested it when we were discussing baby bath time. 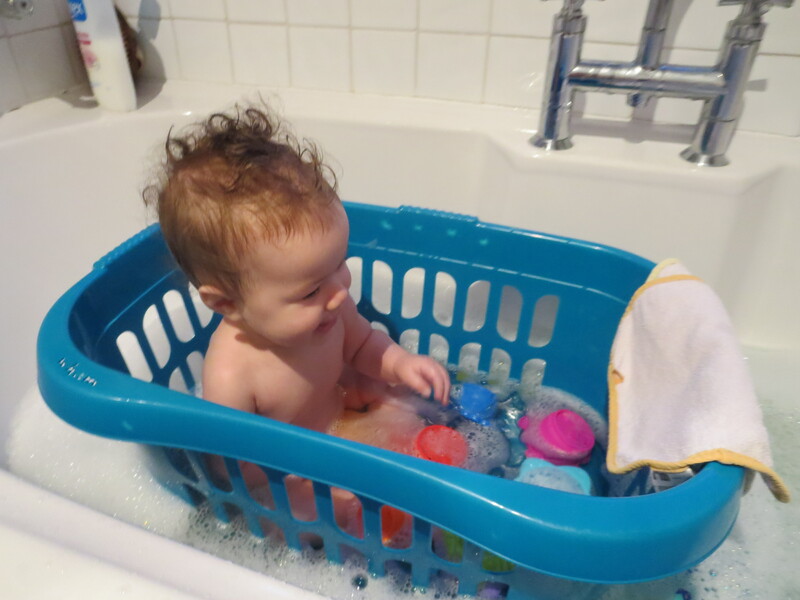 It has to be the most practical and easy baby bath time tip to keep your babies toys within arms reach! Remember – Never leave your baby unattended in the bath; even for the shortest time. Here’s BabyGirl taking a dip! 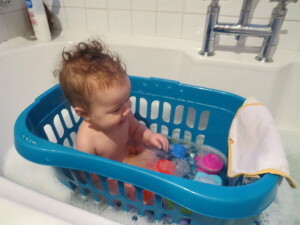 This entry was posted in Baby, Top tips and tagged bath time tips by Mamasim. Bookmark the permalink.